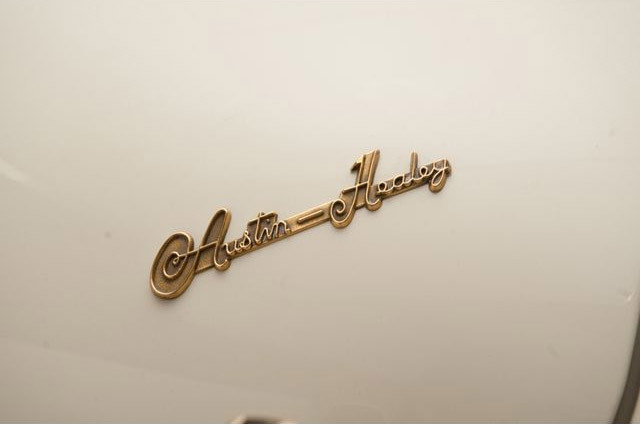 We spotted this impeccably restored 1958 Austin Healey up for auction on eBay, with an astronomical Buy-it-Now price of $1,000,000 (USD). 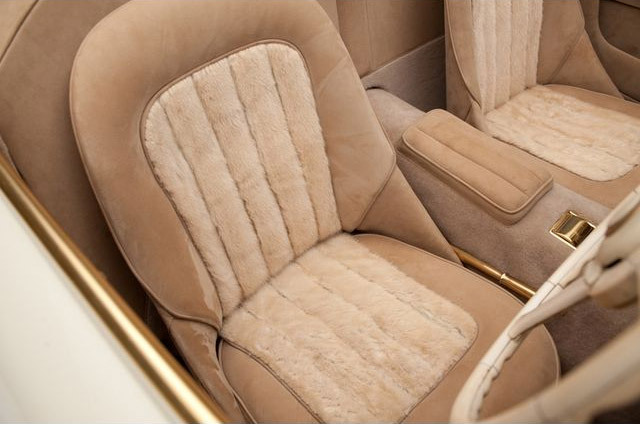 This very special vehicle was handmade by dozens of craftspeople, and features such extravagant touches as gold plated wheels, grille, bumpers and other trim, as well as a leather and mink interior. 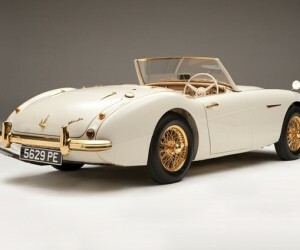 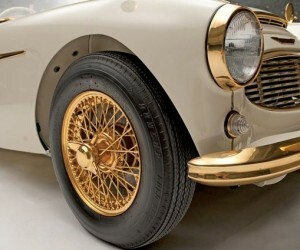 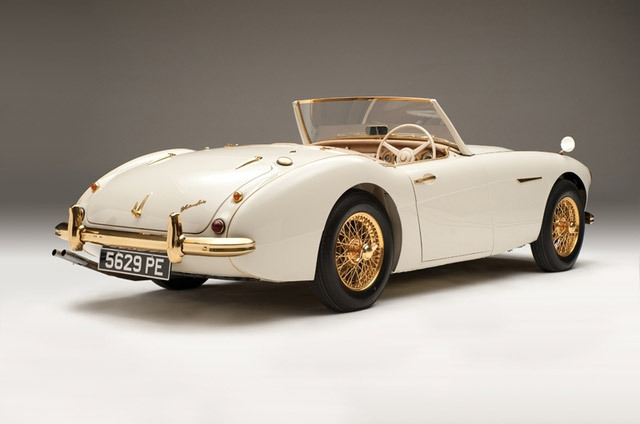 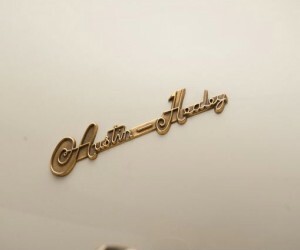 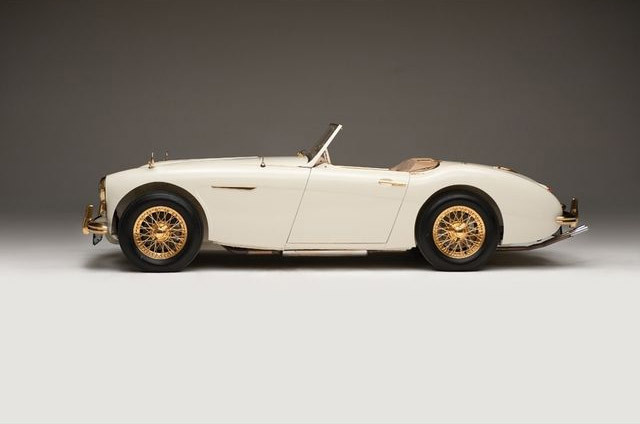 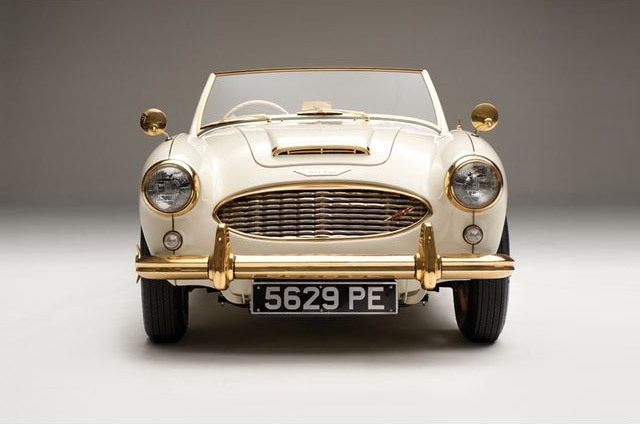 Based on the Austin-Healey 100-6 roadster, this rarity was plucked from the assembly line and embellished with 24-Karat gold on just about every exposed metal surface. 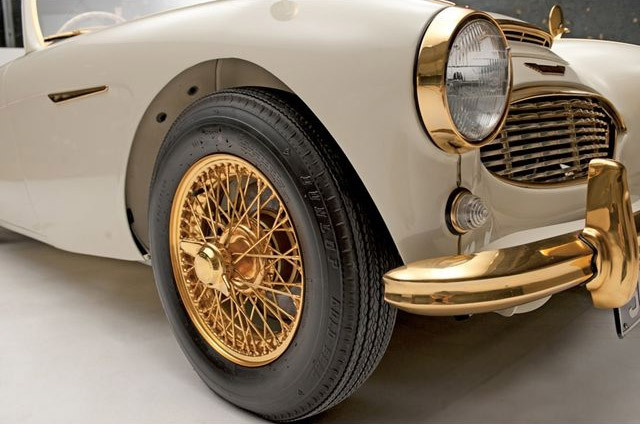 Screws, washers,wheel spokes, instruments and even its Dunlop disc brakes were coated in the shiny stuff. 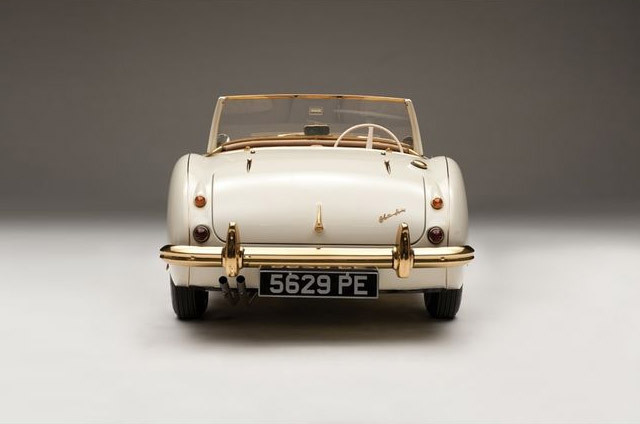 The car was built especially to garner excitement at the 1958 London Motor Show. 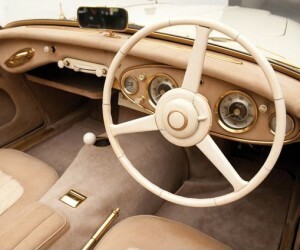 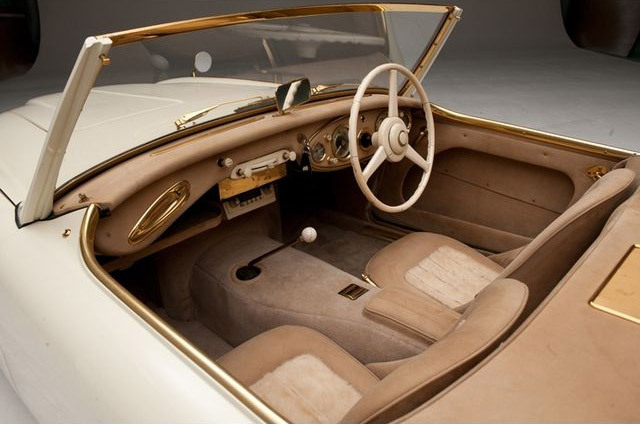 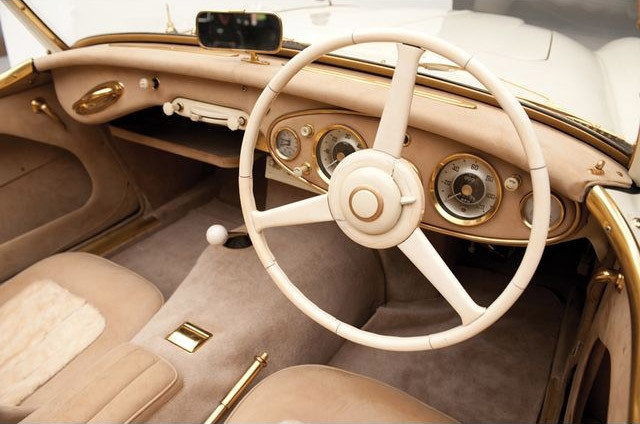 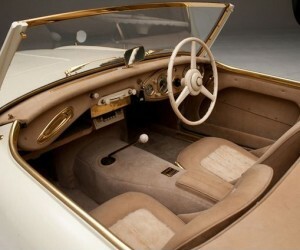 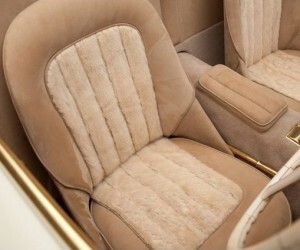 Cheap plastic interior components were replaced with genuine ivory, and the seats were trimmed with champagne kid leather and champagne Diadem mink. 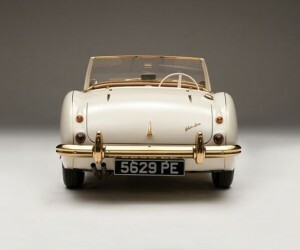 While the car originally was valued at just £4,000 (~$6568 USD) that was still four times the price of the stock 100-6. 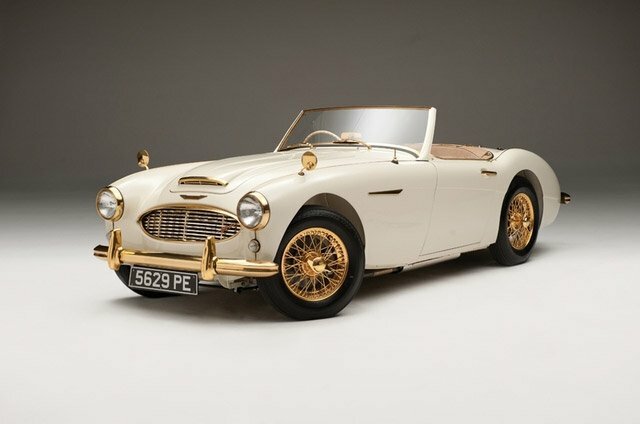 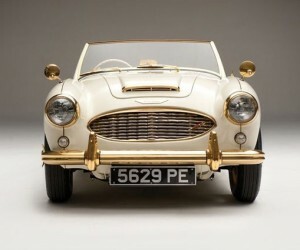 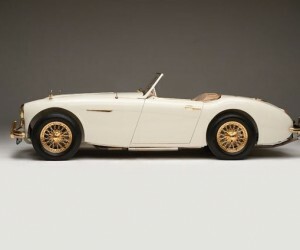 Of course, these days you can get a stock Austin-Healey 100-6 in good condition for about 1/24th the price of the Goldie.